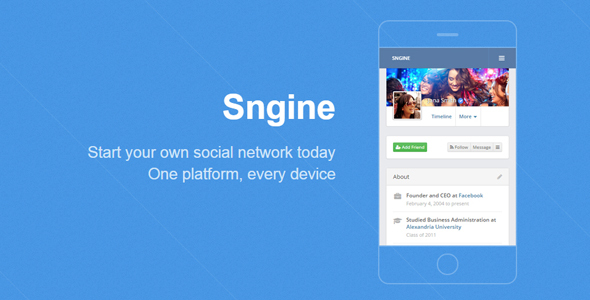 Sngine v2.5.8 is a PHP Social Network Platform is the best way to create your own social website or online community. Launch it in just 1 minute with ultimate features. It’s fast, secured, and it will be regularly updated.